The Coaching ClinicTM teaches managers how to use a coach approach to develop accountability and achieve results through direct reports. 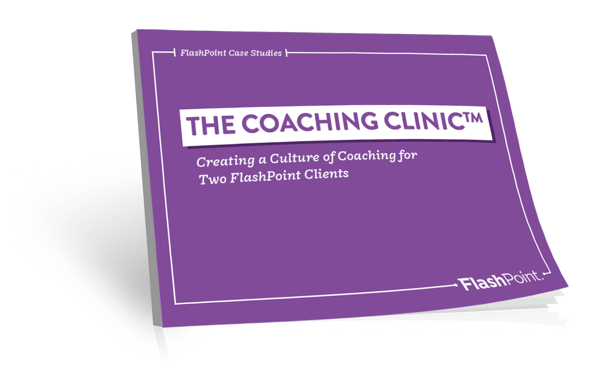 We'll share how FlashPoint has worked with two clients to train leaders in coaching skills to improve accountability, develop and retain team members, and strengthen relationships. In this download, we'll break down information about each client's goals, the program, the solution we implemented, and the client's results.